When Nick Enright wrote his 1989 rom-com Daylight Saving, it was a last-ditch effort. Had it not been a success, he had threatened to turn his back on playwriting. 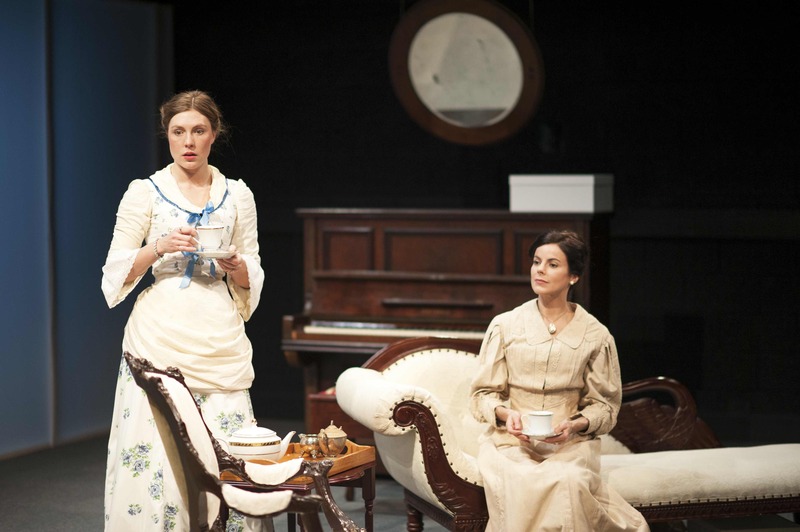 But the play, which premiered at the Ensemble Theatre, was a big hit. Enright went on to a stellar career (cut sadly short when he died from melanoma in 2003) with writing credits including Cloudstreet, The Boy From Oz and the film Lorenzo’s Oil. He also wrote the book and lyrics for the musical Miracle City, currently enjoying a brilliant revival at the Hayes Theatre Co.
Darlinghurst Theatre Company is now staging Daylight Saving (with support form the Enright Family). 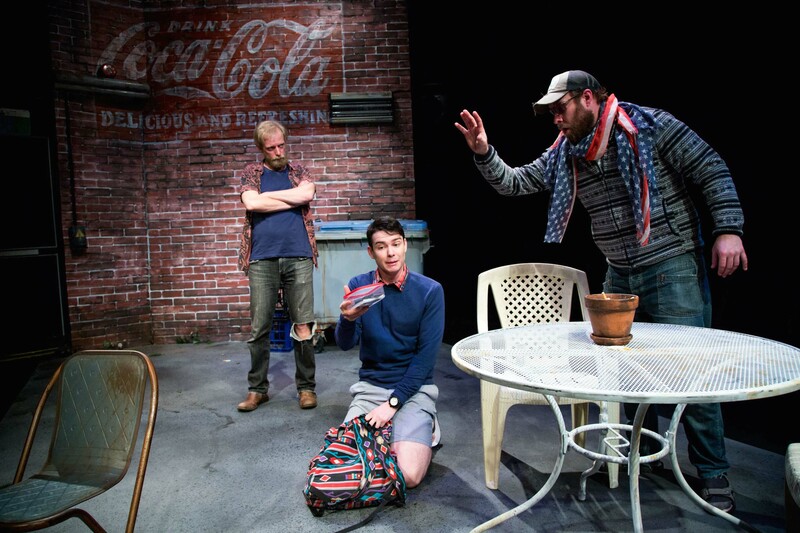 It’s been lovingly directed by Adam Cook, who has chosen to keep it in its original 1980s time period, but the play itself feels rather dated and lightweight. The humour doesn’t zing in quite the same way that it did back in 1989 (the biggest laugh of the night is a sight gag: a huge, brick-like mobile phone) and its themes of loneliness in marriage, the passing of time and seizing the day don’t have quite the same traction – perhaps because we’ve heard them discussed so often. 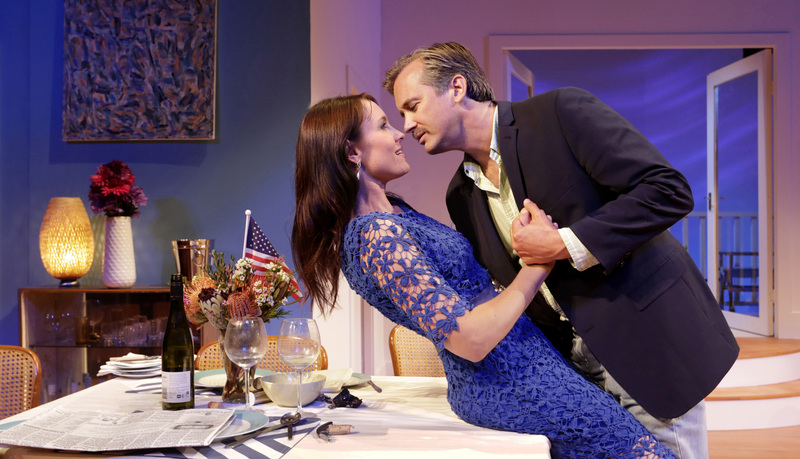 Well constructed and elegantly written, the play is stylistically not dissimilar to Alan Ayckbourn or David Williamson. There are some deft, very funny one-liners that the cast deliver with consummate timing, but the laughs are slow to build and rather sporadic. Felicity (Rachel Gordon) is a successful restaurateur on Sydney’s northern beaches. She lives in a gorgeous house overlooking Pittwater and would seem to have it all. However, her husband Tom (Christopher Stollery), who manages a top-ranking but temperamental young tennis player Jason Strutt (Jacob Warner), devotes so much time to work that she is feeling increasingly lonely and under-valued. This time, Tom has forgotten their wedding anniversary as he heads off overseas yet again. So when her old flame Joshua Makepeace (Ian Stenlake), to whom she lost her virginity in America as a student, appears out of the blue Felicity contemplates a romantic night. Somehow the fact that it’s the night that the clocks go back, gifting them an extra hour together, makes it seem even more special. But plans for a candlelit lobster dinner go awry with a procession of visitors interrupting the evening. 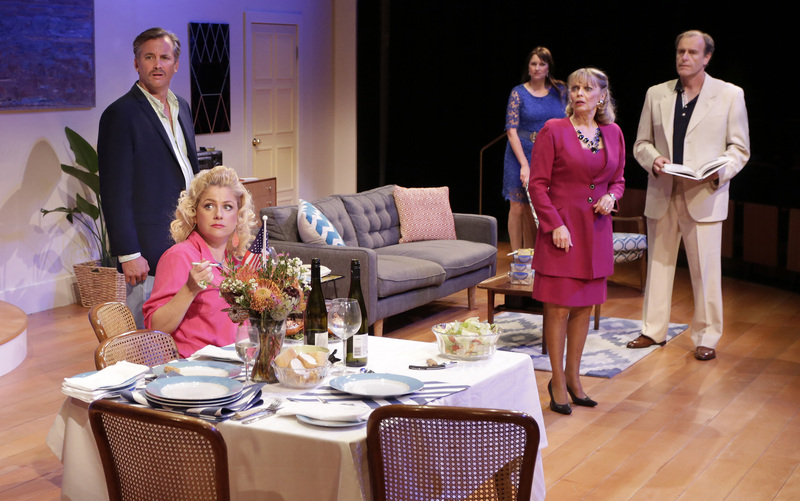 Hugh O’Connor has designed a bright, gleaming set that captures the feel of a comfortable, advantageously positioned waterside home, beautifully lit by Gavan Swift, and his costumes have 80s elements without feeling like a parody. Cook has gathered a strong cast, with the women in particularly fine form. As Felicity, Gordon gives a performance that feels effortlessly natural and real, her disappointment lying just beneath the surface. Belinda Giblin is absolutely on the money as Felicity’s well-meaning but interfering mother: a North Shore widow with fake tan who arrives like a whirlwind, dispensing advice, inedible cookies and deliciously dry witticisms, delivered to perfection. Helen Dallimore is also extremely funny as Felicity’s rather boorish next-door neighbour Stephanie, whose boyfriend has given her up for Lent and who is so wrapped up in her own indignation she is oblivious to what’s going on around her. Stenlake offers the kind of winning charm that Stollery’s grouchy Tom lacks, while Warner plays Jason’s bratishness to the hilt. Cook has found as much humanity in it as he can, but at the end of the day it all feels rather slight: a play that hasn’t quite stood the test of time but one that is still gently amusing.